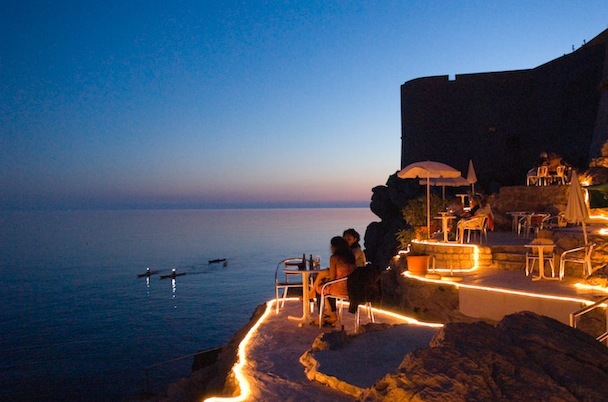 Beneath the southern walls of the Old Town of Dubrovnik (Croatia) lies Buža beach and the same named bar. 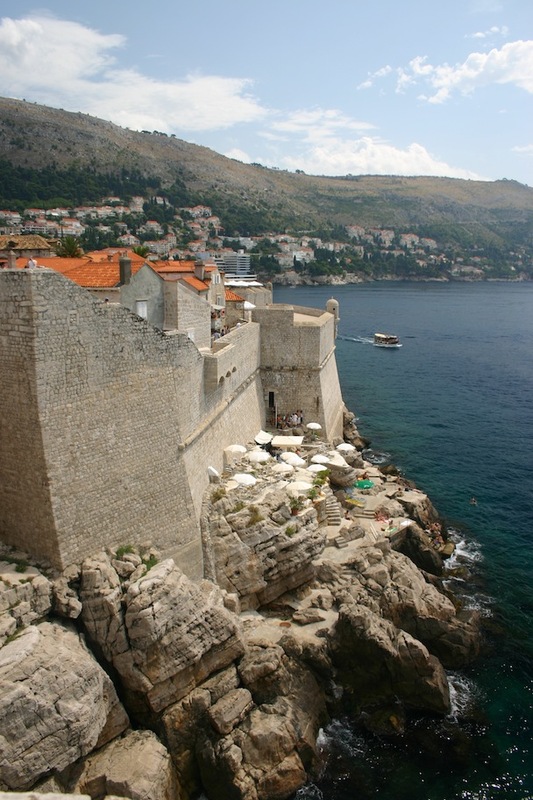 In the dialect of Dubrovnik, buža means “hole”. 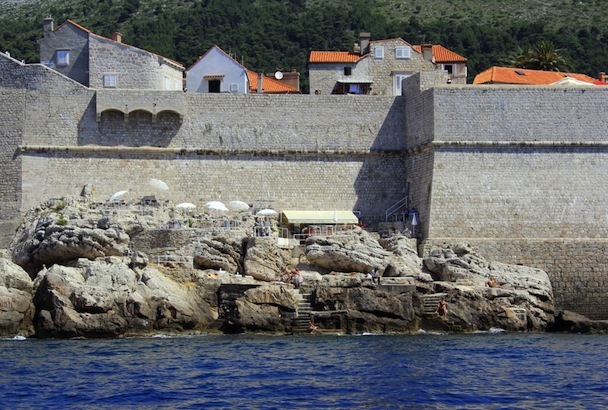 In this case, it refers to the hole-in-the-wall that leads to a swimming spot that is a daily stop for many of the people who live within Dubrovnik’s thick, protective ramparts. If you didn’t know what you were looking for, Mala Buža would be quite difficult to find – work your way down through the old town to the Jesuit church, and nearby there are a couple of hand-written signs saying simply “Cold Drinks”. Once you emerge through a small doorway in the wall, you’ll find sun-splashed rocky terraces dotted with white umbrella-shaded tables. Waves crash against the rocks as tourists and locals alike enjoy a dip in the emerald green Adriatic Sea. Stop in for a Karlovacko beer and sit back and watch the show as cliff-jumpers dive into the sea around you, or just take off your shirt and join them. It’s a magical spot and worth the prices for the views and ambience.